Swelling is one of the most common signs of a sports injury. Understanding the different types, causes, and when you should seek medical attention can play an important role in the treatment of sports injuries. Below you will find general information on this common component of sports injury. 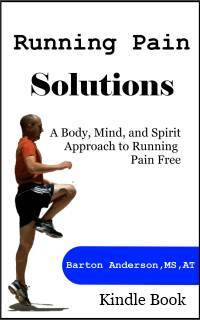 In the simplest terms, it is a collection of fluid within a joint or area of soft tissue. It is a result of the initial bleeding caused by the trauma of injury, as well as an inflow of fluid in the area as a result of the inflammatory response of the body. It is a necessary component of inflammation, the first stage of tissue healing. Unfortunately, our bodies tend to produce much more than what is really needed. Controlling the initial inflammatory response and the amount of fluid accumulation following injury is the key to starting your recovery out on the right foot. A swollen joint can also be an indicator of the severity of an injury, and whether or not you may need to seek medical attention. It can generally be classified as either edema, or effusion. 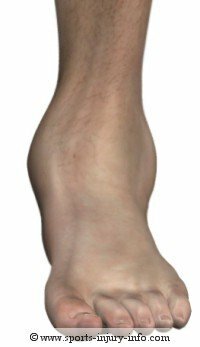 Edema is the general term for fluid collection that occurs outside of a joint. For instance, a bruise is generally considered edema, as it is outside of the joint. Effusion refers to fluid collection within a joint. In most cases, in order to cause an effusion, there has to be some type of trauma to structures located within the joint space. Your family physician or certified athletic trainer can determine whether you have edema or an effusion, and this helps in their overall assessment and diagnosis of your injury. Swollen injuries generally cause pain and discomfort, as it increases the pressure in an area. For effusions, you may lose range of motion or moving your injured extremity may become more painful. The most effective treatment is compression. 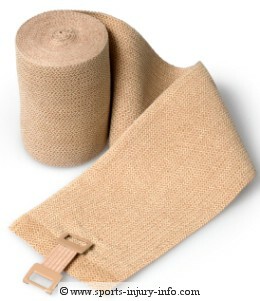 Using an elastic wrap to compress the swollen area helps to limit the amount of fluid collection. This, along with ice, rest, and elevation are the keys to treatment, often referred to as RICE. While swelling is a necessary component of healing, controlling it following injury is important. If you have suffered a sports injury and have a swollen joint or muscle, then it is generally a good idea to seek medical attention from your family physician or certified athletic trainer. Being aware of how quickly an injury swells can help in their overall assessment.